You are here: Home / Article Knowledgebase / The 4 classes of the Blue Sapphire and the power of Blue Sapphire in various ascendants/lagnas. The 4 classes of the Blue Sapphire and the power of Blue Sapphire in various ascendants/lagnas. Comments The Gem of Saturn is Blue Sapphire. Among all the Navratna Gemstones, this is the gem that evokes maximum awe and legendary stories. Perhaps it is the rapidity of positive events that occur after wearing the Blue Sapphire that are responsible for the legendary stories. Even though there are many color shades of the Blue Sapphire because of the combination of hue, tone and Saturation for the sake of lucidity the Shastras (sacred texts) classifies the Blue Sapphire in basic 4 types. 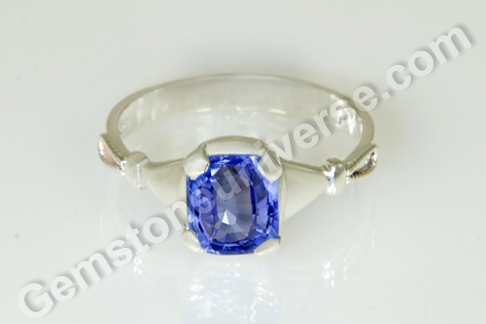 The Brahmin Blue Sapphire-: The Sapphire which is pristine blue or blue with a whitish hue is of the Brahmin Class. The Kshatriya Blue Sapphire-: The Sapphire with a reddish or violetish tinge with Blue Color is of the Kshatriya Class. The Vaishya Blue Sapphire-: The Sapphire that is Whitish with a deep Blue tinge is of the Vaishya Class. The Shudra Blue Sapphire-: The Sapphire that is Blue with a Blackish tinge is of the Shudra Class. Among all the kinds of Blue Sapphires the Shudra is the most inferior and the cheapest. Most of the inkish Blue Sapphires from Chanthaburi in Thailand also referred to as Bangkok Blue Sapphires come in this class. Even in these ascendants the position of Saturn should be analysed thoroughly and several charts should be been before a Blue Sapphire recommendation is made. Can other Ascendants wear Blue Sapphire? The other ascendants can wear this Gem provided the recommendation comes from an expert Vedic Astrologer who deems it fit or when special transits such as the Sade Sathi/ 7 and ½ year Saturn Cycle is operational. Featured today is a marvel of Nature. A true Brahminical Blue Sapphire with a shimmering Cornflower blue shade and a whitish hue. Fully Saatvik (Pristine) due to the exceptional clarity and the lack of inclusions! It has been cut with such precision and symmetry that it makes way for the maximum play of light and this is a vital component in Planetary Gem Therapy. Exceptional carat weight for a fully natural and unheated Sapphire crystal! 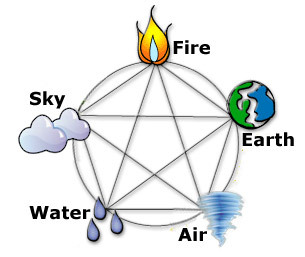 The alchemy achieved by cut, color, clarity, carat weight and lack of treatment ensures that this earth mined wonder from the mother earth is blessed with abundance of the panch mahabhootas- 5 Vital Elements- Air, Ether, Water, Earth and Fire. The alchemy is magical and empowered to bring in the essential changes in life. 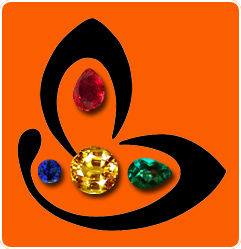 When choosing your planetary gem for Jyotish Purposes, do with Love and concentration and keeping the above guidelines in mind. They you too shall have a magical Gem….